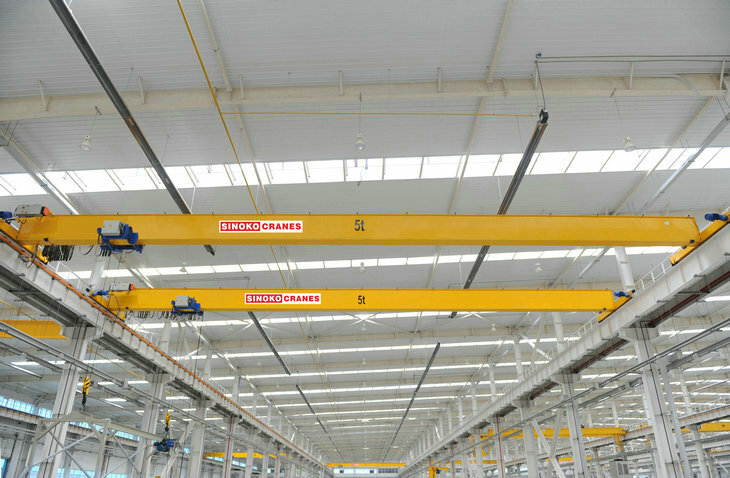 Sinokocrane is the leading european type wirerope hoist and EOT crane manufacture. 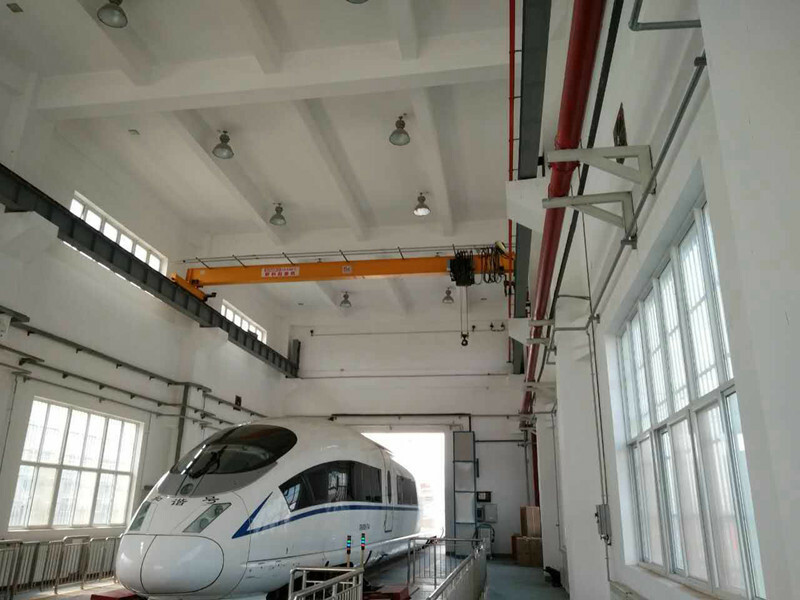 Base on technical support from our partner konecrane, we could supply most high quality level monorail eot crane with european type electric hoist. 1.Design is based on FEM and CMAA70 standards. 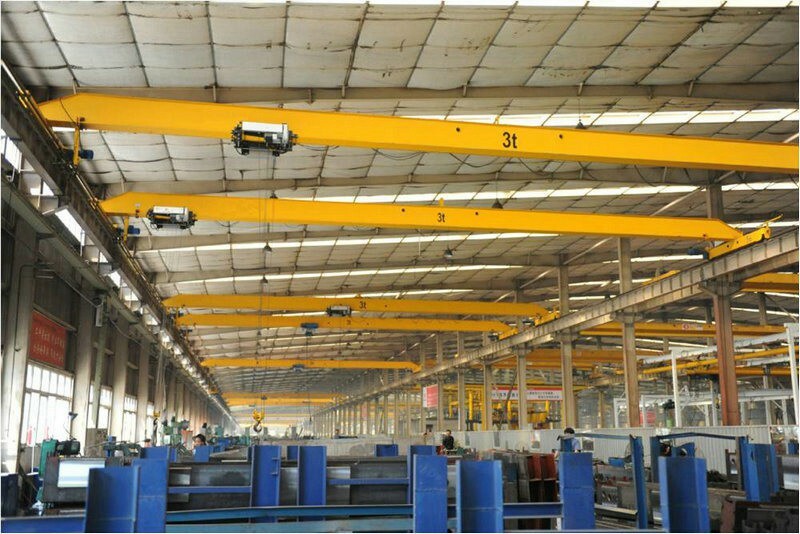 2.With optimizing design and low headroom, the crane height is greatly reduced, to achieve higher lifting height under the same plant height. 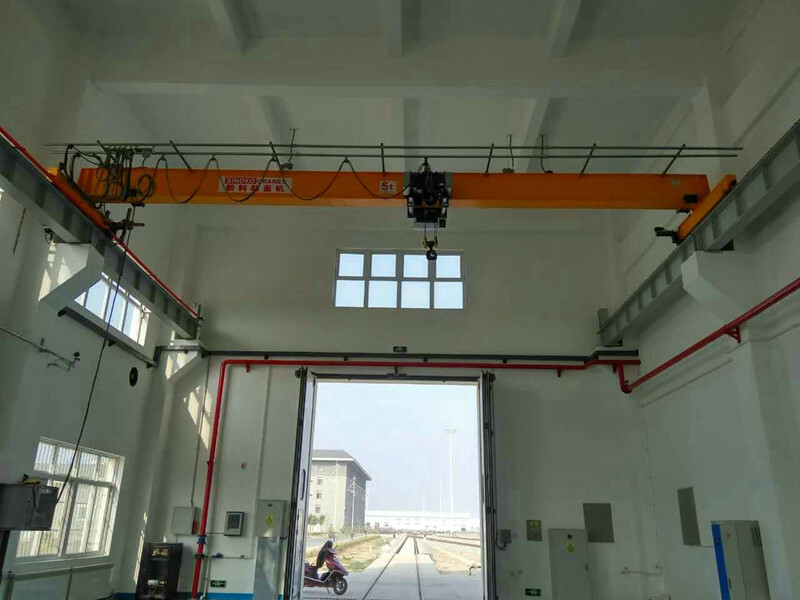 3.With optimizing design and low wheel pressure, the crane height is greatly reduced, to achieve greater lifting capacity weight under the same strength of the workshop. 4.Wheel group with adjustable structure, to prevent the rail from gnawing. 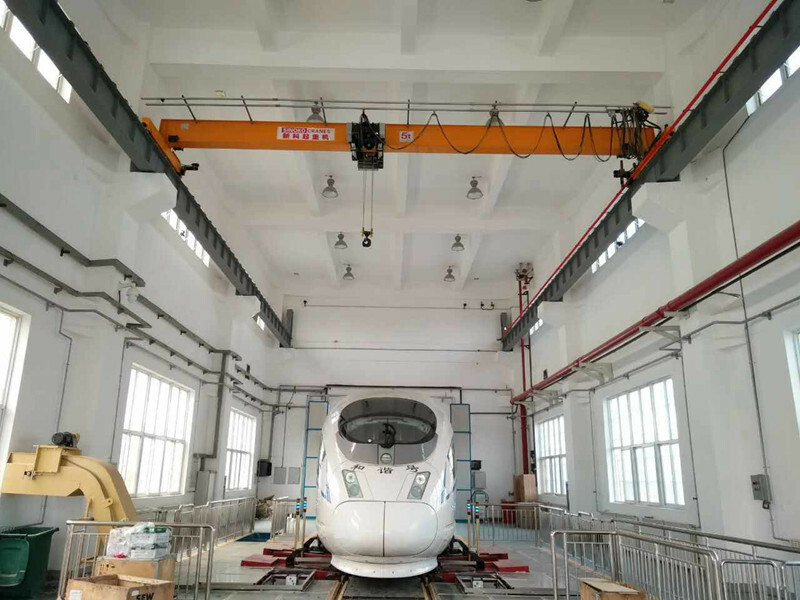 5.Crane is controlled by Three-In-One mechanism with frequency conversion, to reduce the equipment noise. 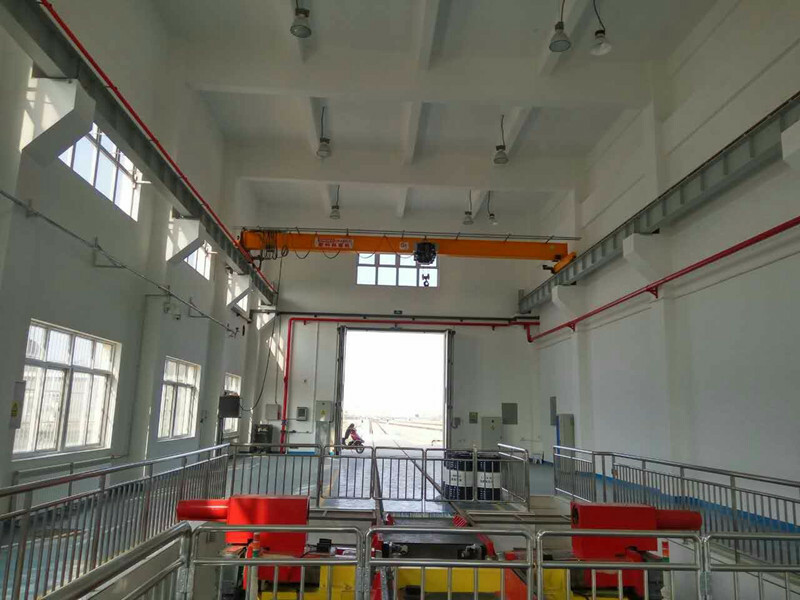 6.Overload limiter, height limiter, Stroke limiter, photoelectric limiter and other security measures are equipped according to different working conditions, crane black box with recorded analysis functions can be added based on the customer requirements. 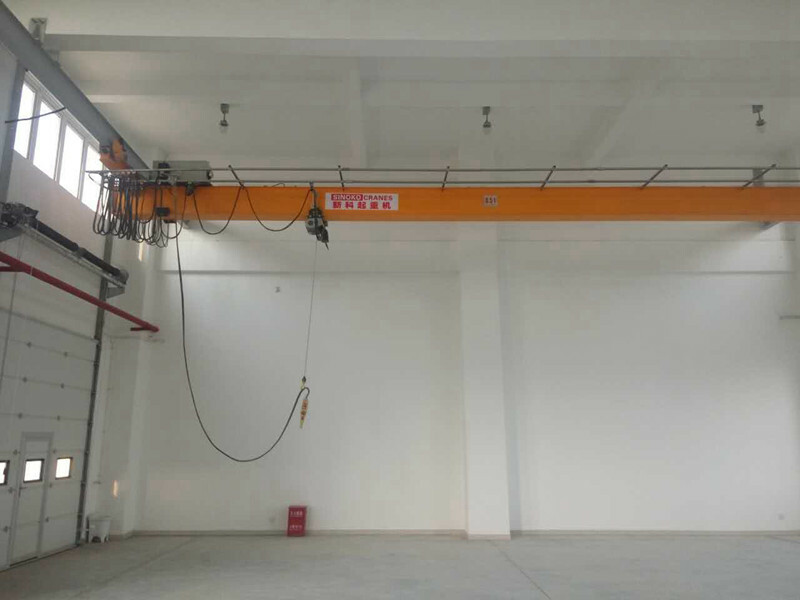 7.Lifting capacity: 1~20 t, non-standard customized crane can be produced. 1. FIX radio system: 2×transmitter + 2×receiver. 2. Transmitters and receivers including external antennas. 3. Connection cable from transmitter and receiver to interlocking panel. 4. Relays and RC-circuit assembly and wiring to bridge panel. 5. Electrical engineering and drawings. 1. When lifting a load simultaneously with two hooks of the same crane, Hoisting Synchronization supervises and controls both hooks so that they run at exactly the same speed. 2. Also works with imbalanced loading between the hoists. 3. 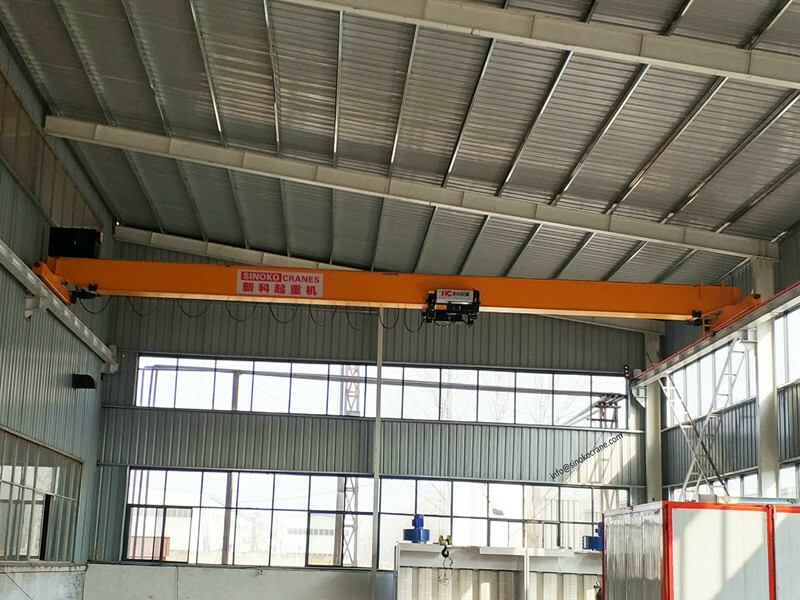 Synchronization of hoisting is always activated, when the operator selects common hoist mode. 1. Holds the load at zero speed for a predefined time after the hoist motion stops. 2. Hoist motor provides the needed torque at the zero speed, hoist brake does not close. 3. Transition from hoisting to lowering takes place faster. 4. Starting the motion again is fast and smooth as the brake is already open. 5. The floating time can be adjusted: tipically 1~2 sec. 6. Similar Floating function is available to travelling motion. Sway Control takes the crane operator’s speed command at the control and brings the load to the required speed while minimizing sway caused by acceleration and deceleration. Load restricted area can be in trolley movement direction or in bridge movement direction or both directions. Load restriction area can be symmetrical on both sides or single side restriction. Common for both areas is that the restriction beginning from certain point until end of crane structure. This point is done with magnetic limit switch on runway or crane. 1. Inching provides a way for accurate load positioning. 2. Available for hoist motion or for all three main motions. 1. Microspeed makes load control more precise. 2. Available for hoist motion or for all three motions. 3. Microspeed turns large joystick movement at the controls into slow and precise load movements. 4. The maximum microspeed can be preset from 1% to 99% of full motion speed. 5. Each motion can have different maximum microspeed. 6. Activated by On/Off selector in radio or pendant. 1. Microprecisely in tight spaces, increasing safety and protecting peed helps the operator control the load. 2. Useful in heavy lifting assembly applications, where very high load positioning accuracy is needed. 1. Extended Speed Range allows higher lifting and lowering speeds with partial loads. 2. With loads less than 20% of capacity, the hoist can be operated up to twice the speed at rated load. 3. Stepless ESR –The maximum allowed speed is automatically calculated based on the measured load. 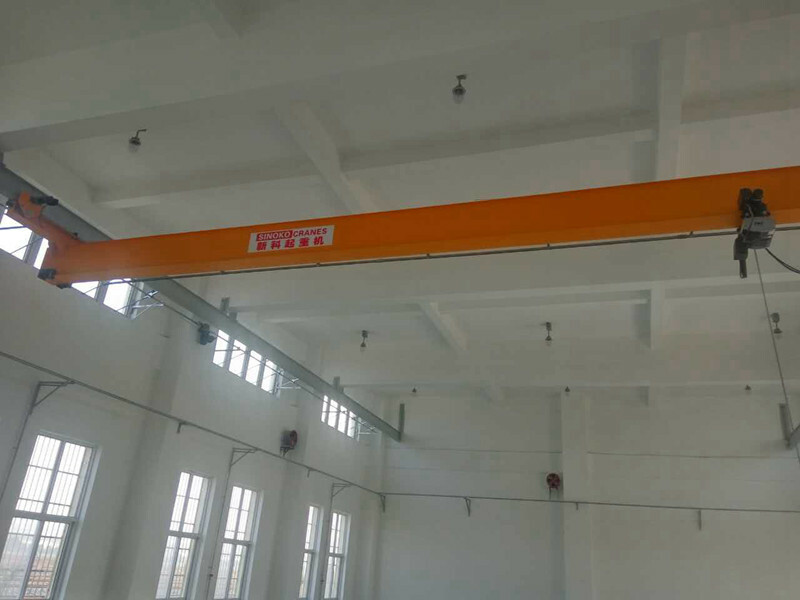 Hoisting, trolley and crane movements are controlled separately. They can run simultaneously or independently.